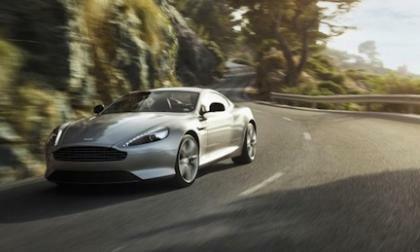 The all-new 2013 Aston Martin DB9 gets more horsepower and some significant performance enhancements. 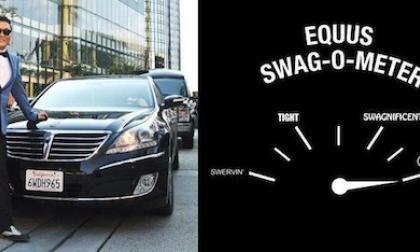 Hyundai has launched a Facebook ad featuring the South Korean-born rapper with a Hyundai Equus. 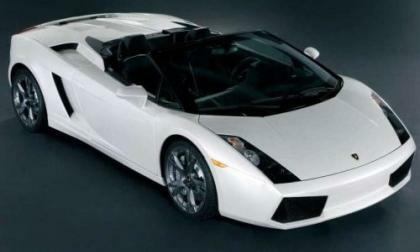 The National Highway Traffic Safety Administration has announced a recall of the 2004 through 2006 Lamborghini Gallardo Coupe and Spyder (convertible) models over a concern that one of the power steering lines could leak – increasing the chances of a fire if the problem is left unattended and showing that even the world’s most well built vehicles are not immune to the recall bug. 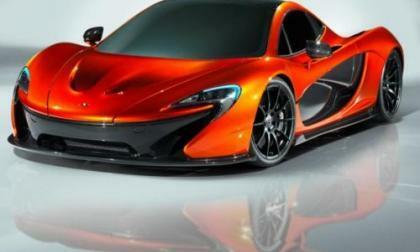 We have known for some time that McLaren would use the 2012 Paris Motor Show to debut a next generation supercar and yesterday, images and early information on the McLaren P1 supercar hit the internet with the full information likely to arrive when the car debuts later this month in Paris. 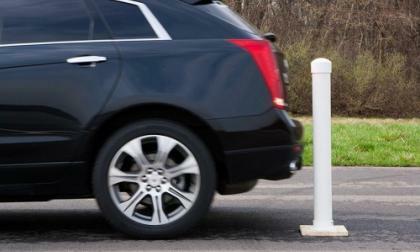 With new bumpers that sense low speed contact will drivers start to rely on the car to stop itself? 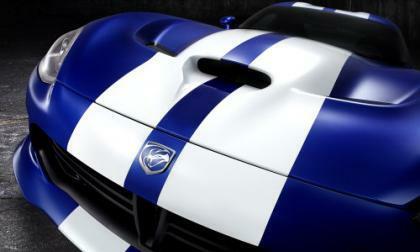 The 2013 SRT Viper is within a few months of entering the first phase of production but the newest (and possibly the most complete) details on the new Mopar supercar have come to us via the devout Chrysler Group enthusiasts at Allpar.com – including more details on the color choices, interior options and package details. 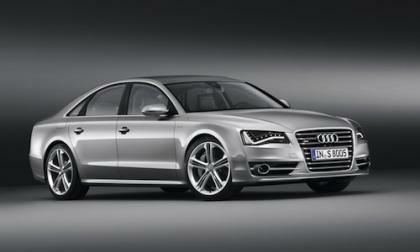 The 2013 Ford Fusion Hybrid will offer an insane 47 mpg. Here’s how they did it. 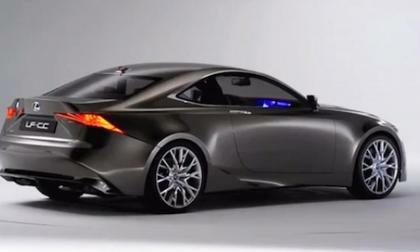 The Lexus LF-CC concept car has been completely revealed in a new video and gives us the best look yet at a preview of the 2014 Lexus IS coupe. While there were skeptics out there who questioned whether the Chrysler Group would be able to offer a version of their new compact Dodge Dart that yields better than 40 miles per gallon – official information on the government fuel economy website reveals that both the manual and automatic versions of the 2013 Dodge Dart Aero offer at least 40 miles per gallon. According to multiple sources, the United States Treasury Department has declined a plan by General Motors which would relieve the federal government of its portion of the American automaker that was gained via the “bailout loans” through GM’s Initial Public Offering (IPO). 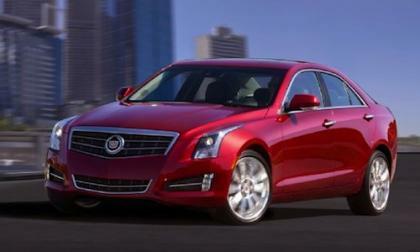 The 2013 ATS will be auctioned at Barrett-Jackson's upcoming Las Vegas auction to benefit Duchenne muscular dystrophy research. 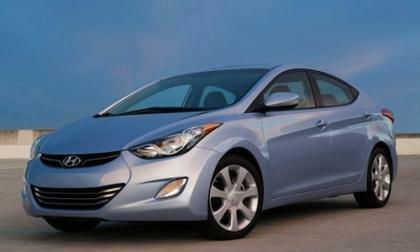 The NHTSA has just expanded its investigation of 2012 Elantra models to also include 2011 and 2013 vehicles. 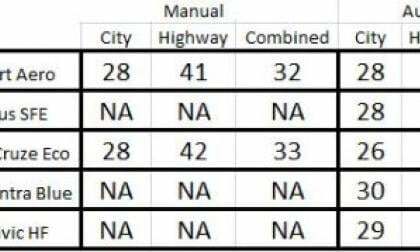 The cost to own a fuel sipper has never been better and Honda's 2012 Cost of Ownership award from KBB shows how amazingly low it can be. 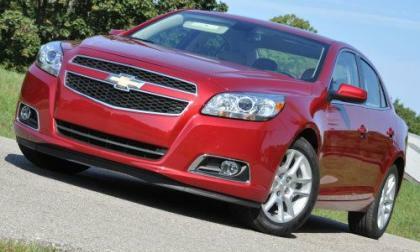 GM is looking to the valves to save one more mpg in its 2014 Chevy Impala. 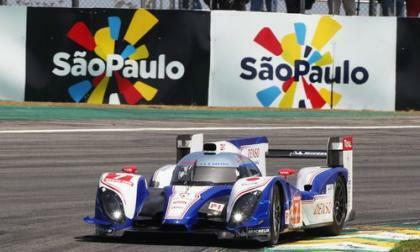 Toyota's TS030 hybrid race car made a convincing win in the 6 Hours of Sao Paulo, joining Audi's R18 e-tron quattro hybrid race car as 2012's top dawgs in endurance car racing. 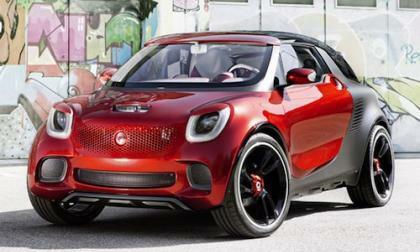 Smart is unveiling a unique Sports Utility Coupe concept called Smart ForStars that offers a first-ever integrated video projector. 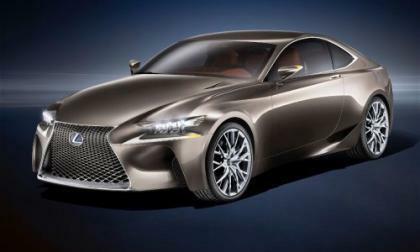 Lexus drops photos and a few details on the new LF-CC, a compact version of the show-stopping LF-LC concept shown just a few months ago. 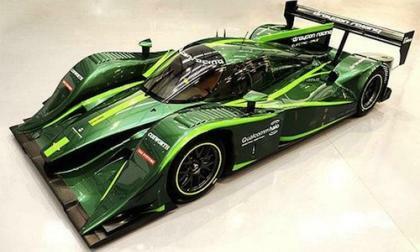 The car shows the clear design trend that Lexus will be adopting in the near future. 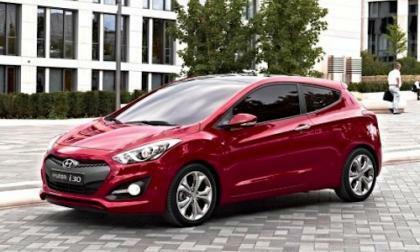 Ahead of its world debut at the 2012 Paris Motor Show, Hyundai has confirmed the new generation i30 Three-Door. 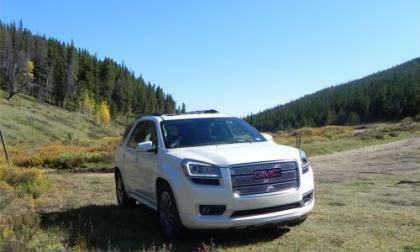 The re-designed and re-appointed 3-row, full-sized SUV gets priced in both its base level and high-end Denali trims. New standard features also detailed. 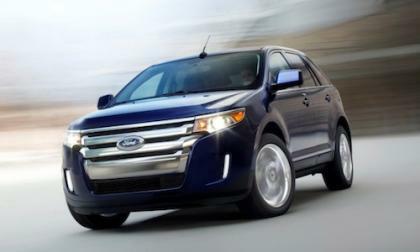 Ford is pursuing its intelligent teen driving campaign. This year, the campaign joins more events. 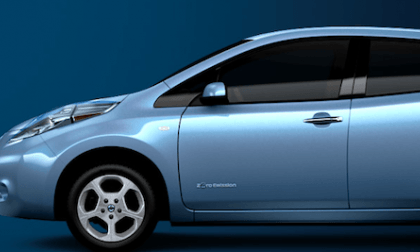 The new generation of Nissan Leaf should not only have a faster charger but also a different battery pack. 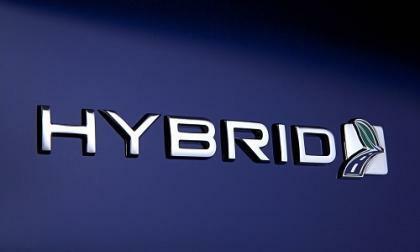 Find out what this means to potential EV buyers. 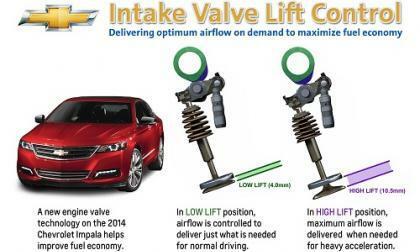 According to Ford, a parts supplier error is to blame for the newly issued recall. 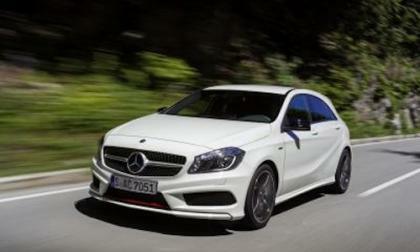 The first all-new 2013 Mercedes-Benz A-Class models have arrived at showrooms and they come with a host of accessories and a sport appearance package. 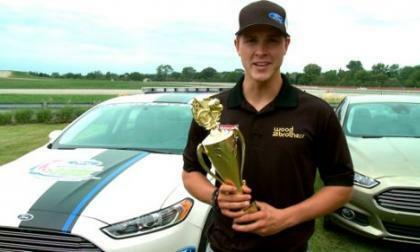 Ford's NASCAR stars faced off in a challenge that defied all their expertise by asking them to lay off the accelerator and maximize fuel savings instead of speed. The results were amazing. 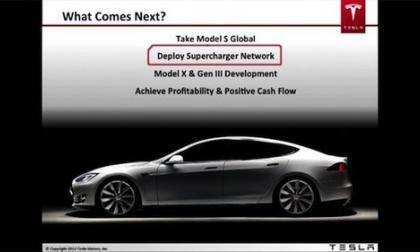 Will Tesla's SuperCharger network resemble aliens landing at a rest stop? The long-hinted Tesla SuperCharger for the Model S and Model X, will be unveiled on Sept 24 according to an Elon Musk tweet promising it will be like "alien spaceships landed at highway rest stops." Read more about Will Tesla's SuperCharger network resemble aliens landing at a rest stop? RMAP members, including our own Don Bain and Aaron Turpen, had the unique opportunity to take a dozen crossovers, SUVs, and trucks into the Rocky Mountains for some off-road adventures. 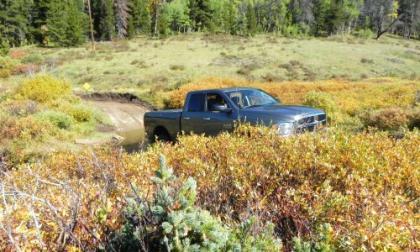 Several 2013 models were on hand to climb rocks and sling mud. 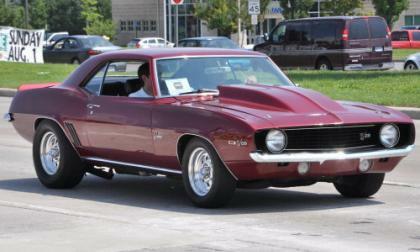 General Motors has once again filed for a trademark of the name Z28 – sending the automotive media and Camaro enthusiast world into a frenzy of what is coming next to the Chevy muscle car with discussions suggesting that the Z28 name could replace either the Camaro ZL1 or Camaro SS trimline in the near future. Kyle Busch transforms a Camry into a Dream car with heavy modifications. 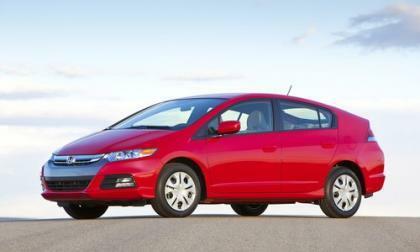 A heated discussion than never seems to cool off is whether or not electric and plug-in hybrids need to make noise. A better question would be, should people pay more attention when near cars?